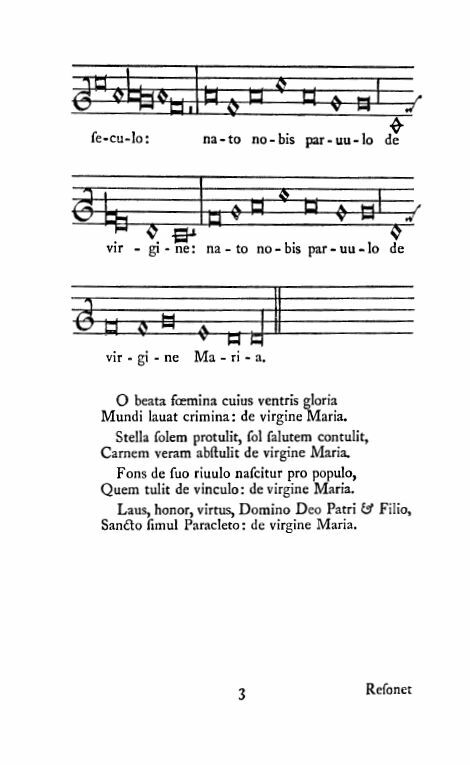 Also found as Verbum caro factum est, Ex virgine Maria, from Woodward, Piæ Cantiones (1910) & Klemming, 1886, 5 verses, with additional translations. Source: J. H. Hopkins, ed., Great Hymns of the Church Compiled by the Late Right Reverend John Freeman Young (New York: James Pott & Company, 1887), #73, pp. 114-5. 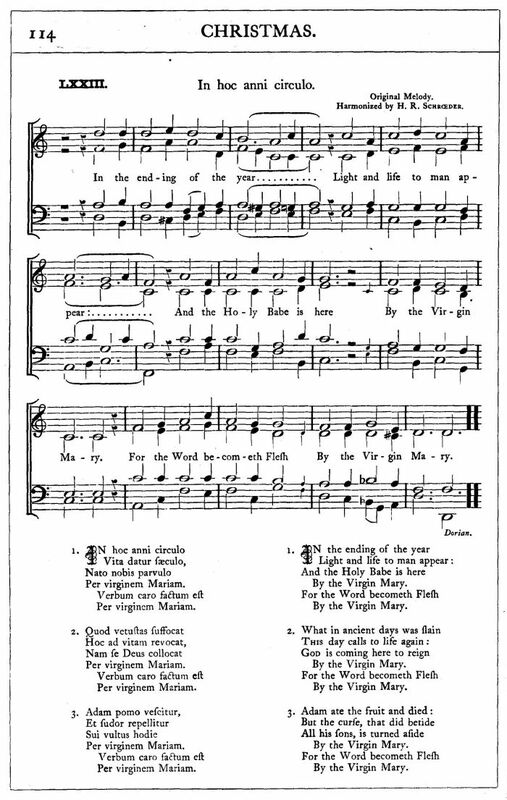 Sheet Music from J. H. Hopkins, ed., Great Hymns of the Church Compiled by the Late Right Reverend John Freeman Young (New York: James Pott & Company, 1887), #73, pp. 114-5. Harmonized by H. R. Schrœder"
Some sources have given the title as "in hoc anno circulo," and a few have ascribed it to Jacopone. 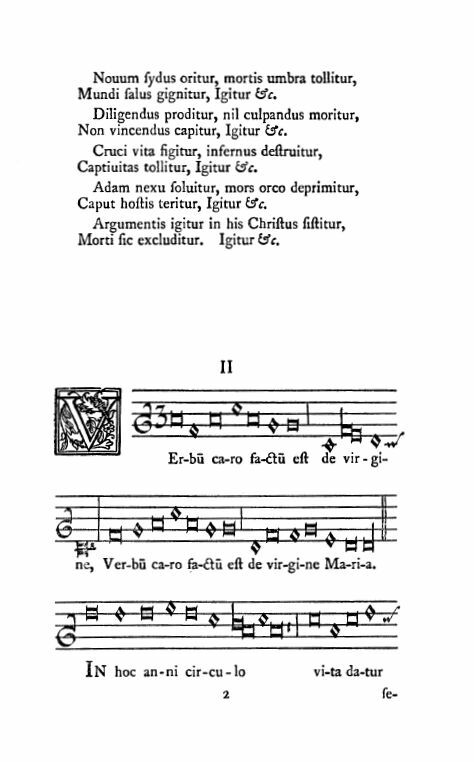 Neale writes in "Medieval Hymns" that the source is German, possibly the 12th century, and that the earliest popular translation is In des Jahres Zirclikeit. He does not give the title of the other German translation that he is aware of. 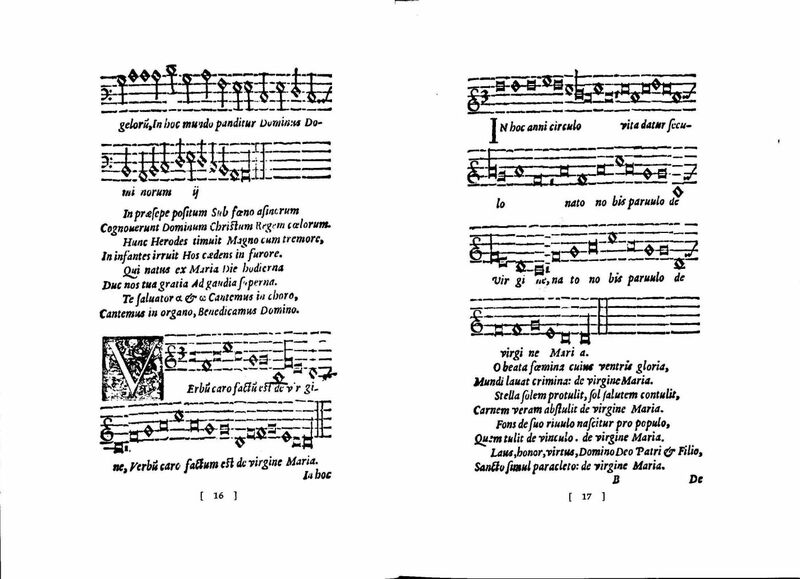 The lines "in hoc anni circulo" are from the hymn Verbum caro factum est, Ex virgine Maria. In his notes to the latter, John Julian notes that "This hymn exists in a great variety of texts... The two lines above are used in some cases as the introduction, and line 2 as the refrain." 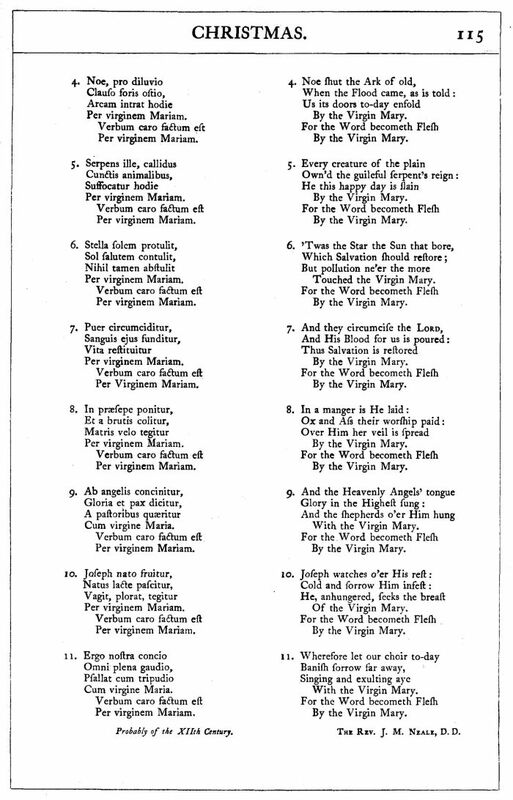 (Dictionary of Hymnology, 1907, p. 1216). 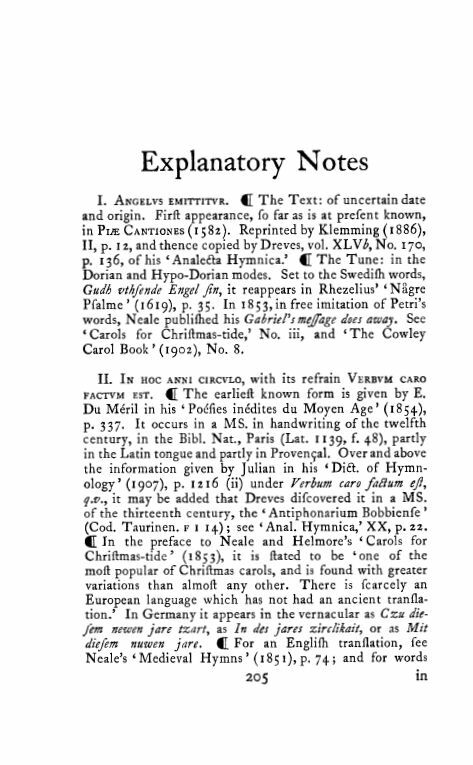 Additional notes are found in Verbum caro factum est, Ex virgine Maria.